Is the Mothman still alive? Topic: Is the Mothman still alive? Re: Is the Mothman still alive? Tackiest museum ever, it's in a old KFC. The bulk of the displays are newspaper/magazine clippings, props and other items from the "Mothman Prophecy" movie, and artwork that would not look out of place on a refrigerator. You pay one fee to get in, then for an additional fee you can get a tour of the dynamite factory area and then drive the route taken by the teens who first reported the creature. I've proposed the Mothman Museum in the past as a destination field trip for 'gabbers. There is even a haunted hotel in town where we could stay. Nice to see you finally made it. You decide. Real or Fake. Could be fake but I want to believe they are real so I'll say real. A classic, told by a classic. It could just be a large bird of prey with one of it's victims in it's clutches, hence the part that looks like legs extending from the creature. 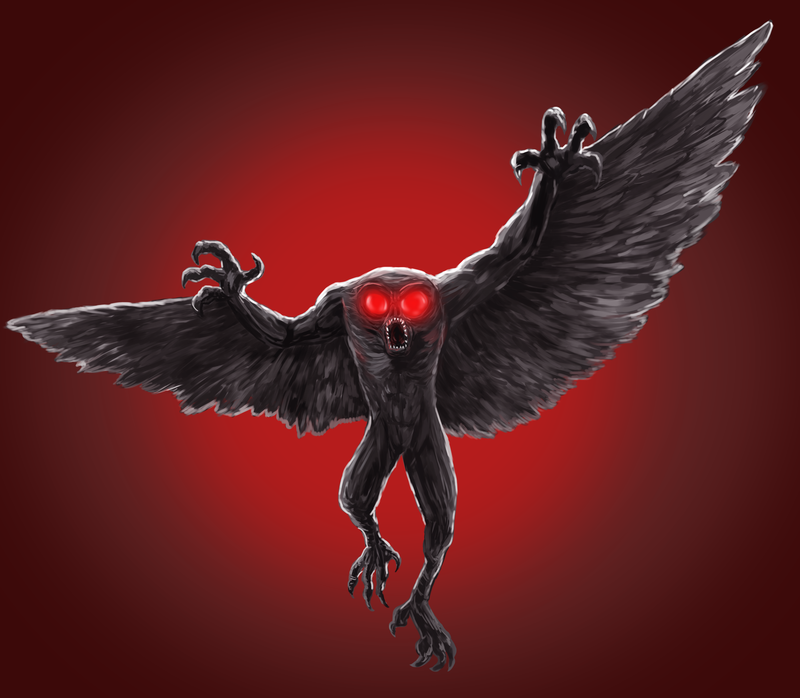 Then again, it's more likely Mothman, being chased by a flying saucer which had just released a Bigfoot in the woods. Hi I was born,grew up and luved in the area for 35 years. I live in PA. now. 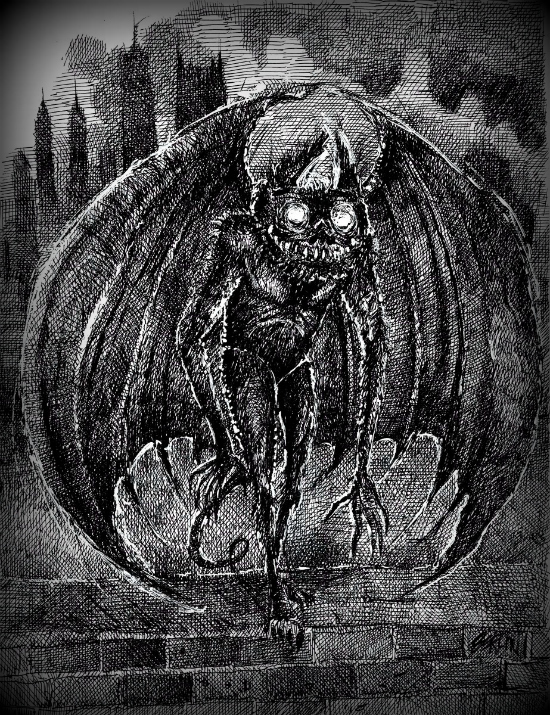 I know (jeff) the museum owner he actually use to own a few record stored back in the 1990s one in gallipolis,o e in Jackson and one in point pleasant.. anyway I spent many nights in TNT have some interesting stories but never seen a mothman..
Wasn't Jeff a teacher as well? Seems like he told us he taught industrial arts or some such trade. That. I don't know. Hes a good guy. He use to rent a few houses I almost rented one off him in gallipolis on Court street. please stop trolling me. If I could send this thing to you that's attached to me I woukd! See how funny you think it is then!! I wouldn't do that cause then I would be practicing the (craft) as art puts it.. I just wanna be gone with it. Sorry I got your thread off topic this guy keeps following me and posting stupid stuff when I actually need real help. It might be 1 out of 100k that come on here and need honest help for an honest paranormal situation, however this is one of those times that the odd accuracy of a real situation has come to light. Please help. If you don't have anything helpful to say then please don't say anything. Rule of thumb: Most on here won't take you or almost anyone else seriously. Jack will troll you by default. Its what he does. Ask him who killed JFK or brought down building seven. Go on..ask him. I'm thinking that they are more likely the "Owlman" considering the frigid temperatures in Chicago and Wisconsin right now. Mothman likely would migrate there in summer.